Contrary to popular opinion, Judaism's main focus isn't the synagogue - it's the family. Judaism isn't just a religion - it's a way of life. It's place is in the center of life: the home. 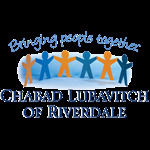 Chabad of Riverdale gears holiday celebrations so that young and old are able to find a sense of belonging, celebration, and tradition. Our goal is to pique every individual's interest and excitement. We strive to bring out Judaism's inner spark so that the holidays are a pleasure and a delight, a discovery of meaning and a celebration of our love for our fellow Jews, our tradition and our G‑d. -Holiday Expos: shows, contests, original games and much more. 4 times a year: Chanukah, Purim, Pesach, Shavuot. See Events Calendar for dates and times.